I don’t often get a day when I feel fully relaxed, even though I don’t work a lot I always seem to have so much to do , It’s very rare that I get bored. We’d planned a full day today as well, but Debbie wasn’t feeling at her best so we postponed a trip walking around Bolton Abbey and decided to walk to Lytham instead. As usual I popped into Caffe Nero for a couple of hours so we set off at 10am which meant we arrived in perfect time for brunch. The weather was perfect, hardly any wind, sunny and crisp. 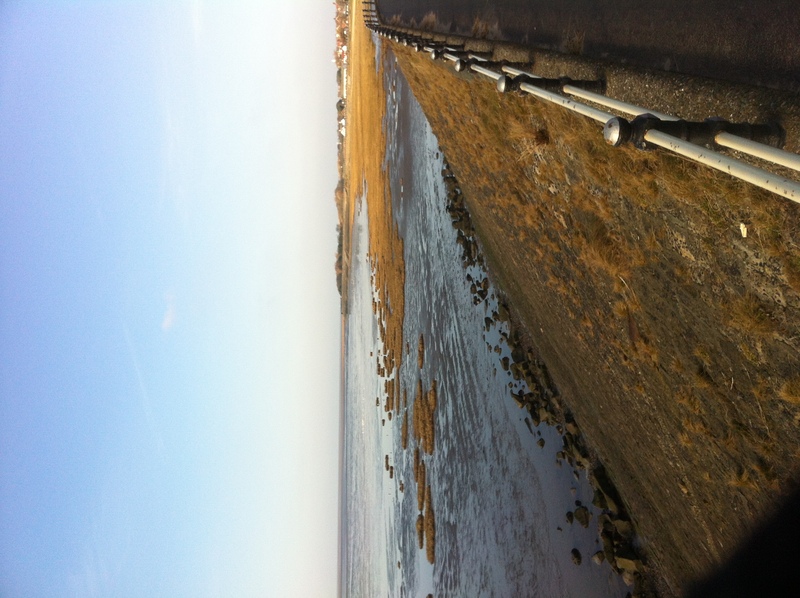 I sometimes forget how wonderful the walk to Lytham is, I used to walk it several times a week and you get desensitised. I need to remind myself that I don’t always need to get in the car to reach a great walking or cycling destination, and soon I won’t need to leave the house to read, I’ll be in the lap of luxury on my patio, on a recliner and under a sun shade! All was not perfect though, munching my Bacon and Eggs at Lytham Kitchen Cafe I annoyingly fractured the temporary tooth that I’m meant to ‘wearing’ for another week. I’m hoping that by eating finger foods on the ‘safe’ side of my mouth it might survive for another few days at least, but I think I’m being too optimistic. I’d promised myself that I would get some gardening done this week and with weather this good I couldn’t pass up the opportunity today so I reverse raked the lawn to spread the worm casts and then started on a much less enjoyable job. In the storms last week we lost two big panes of glass from our Greenhouse. They’d sprung out of the frame and then been thrown against a nearby wall, spraying glass all over the back of the garden. It’s going to be a long job to clean up, but I did a third of it before breaking for some TV time. I decided to watch Julia Bradbury’s Icelandic Walk. Iceland certainly looks like it would be a great experience, but I don’t think I will be going any time soon. Most remarkable was how young the landscape is, for example Iceland’s ‘Grand Canyon’, which is incredibly impressive, is only 8,000 years old, almost biblical time-scales. Tonight we are going to watch the last two episodes of The Bletchley Circle, which has been a real treat, highly recommended.